Size: approx. 10 mm. Photo: 08/12/14, 10 pm. 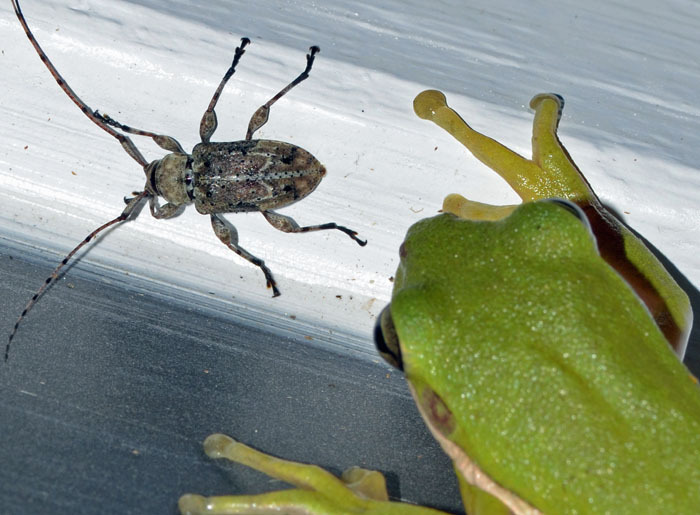 This beetle belongs to the exceptionally large subfamily of the Flat-Faced Longhorns. 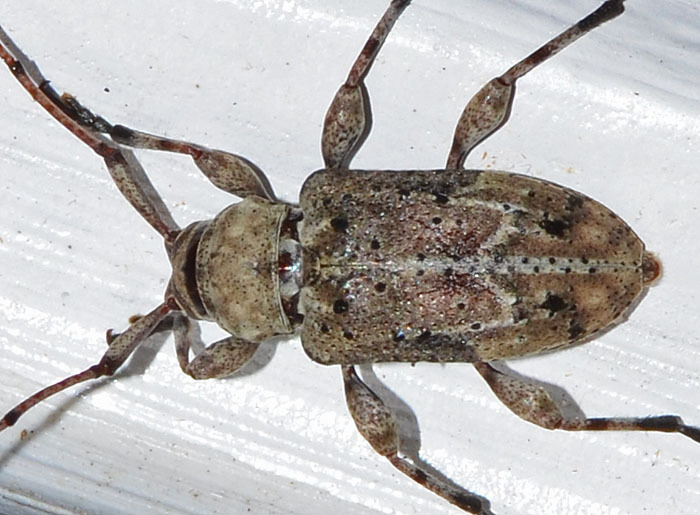 From the few entries in bugguide, I guess that it is found mainly in Southeastern US. Within this range, the genus has five species. The large photo shows one of our many frogs. The rather large frog stared at the resting beetle for several minutes but then turned around and focused on other things. Was the potential meal too big, not tasty, too long-horned?